Wayne County (pop. 52,822) is east of Susquehanna County, in the northeastern corner of Pennsylvania. It’s one of 16 Wayne counties in the U.S. 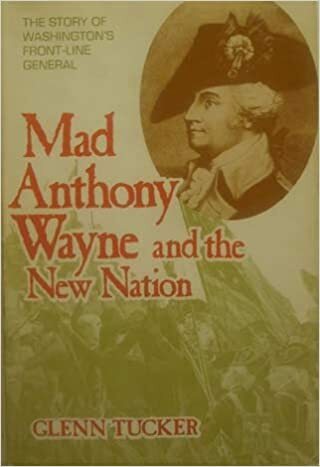 The county was named for General “Mad Anthony” Wayne (1745-1796). Wayne County has about 30 summer camps, hosting some 28,000 children every year. The highest point in Wayne County is Mount Ararat (elev. 2,638). Its western and northern sides drain into Chesapeake Bay, and its eastern side drains into Delaware Bay. Noah’s Ark was not found here. The county seat of Wayne County is the borough of Honesdale (pop. 4,480). 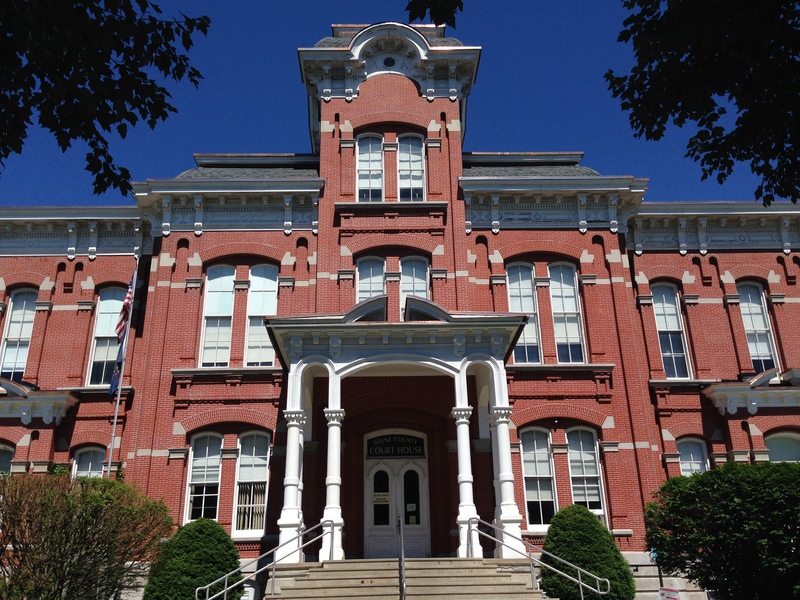 The Wayne County Courthouse dates from 1880. Honesdale has been called “The Birthplace of American Railroading,” because it had the first commercial steam locomotive run on rails – the “Stourbridge Lion” in 1829. Today there’s a 25-mile excursion line. The children’s magazine “Highlights for Children” was founded in Honesdale in 1946, and its editorial offices are still there. The Claws “N” Paws Wild Animal Park is in the village of Lake Ariel. 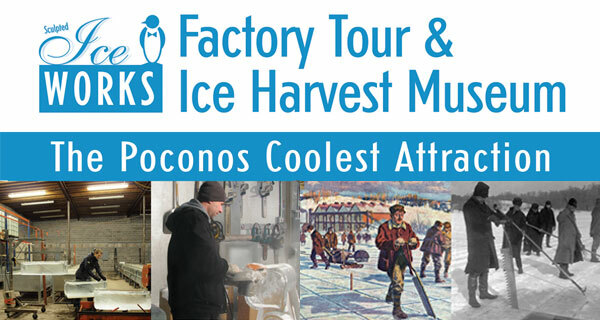 Sculpted Ice Works in the village of Lakeville has a tour and museum. In the community of Hawley (pop. 1,211), the Bellemonte Silk Mill dates from 1894. It has been called the largest bluestone building in the world. 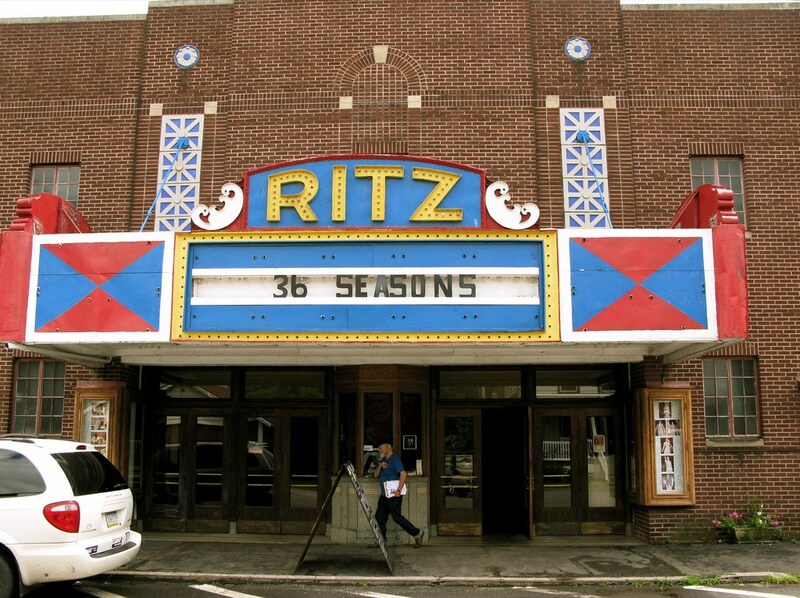 The Ritz Theater in Hawley has hosted the Ritz Company Playhouse since 1973.